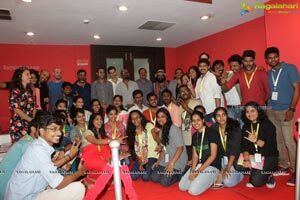 Indywood Film Market (IFM) in association with Ramoji Film City today inaugurated the 2nd Edition of the Indywood Film Carnival. Present during the inauguration of the carnival were Mr. Talasani Srinivas Yadav, Minister of Cinematography, Government of Telangana, Mr. Papa Rao, Government of Telangana, Mr. Navin Mittal, Commissioner, I&PR, Government of Telangana, Mr. Ramoji Rao, Chairman, Ramoji Group and Mr. Sohan Roy, Founder Chairman – Aries Group of Companies, Director Project Indywood. The carnival is being held from 24th to 27th September at Ramoji Film City. 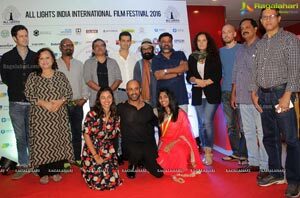 The opening ceremony of the Indywood Film Carnival 2016 witnessed participation from many eminent stalwarts from the film industry. The guests were mesmerized by the performances of students from KM Music Conservatory - an A.R Rehman initiative and Dazzlers Dance Group. The highlights of the opening ceremony were the Indywood Film Business Awards (IFBA), wherein Indywood recognized and felicitated the contributions of various individuals within the industry. Noteworthy work from various sectors of the film industry such as best shooting locations, distributors, highest grossing movies of the year etc. were recognized. The most coveted Golden Pen Award was received by Mr. Srinivas B Vijayaraghavan, Author of the book ‘Filmy Manager’ which collects sharp and insightful management wisdom from the unlikely world of Hindi films and dispels it in accessible, entertaining nuggets. 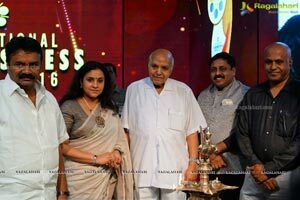 Mr. Ramoji Rao - a legendary businessman, veteran film producer, educationist, journalist and media entrepreneur; was presented with the Award for significant contributions to the field of Cinema Business, Mr. Akkineni Ramesh Prasad veteran businessman, film producer and chairman Prasads IMAX studios, was presented the Lifetime Achievement Award, and Kalaipuli S Thanu, well-known film producer, was presented with the Business Icon Award. France and Seychelles bagged the awards for the best aesthetic location and emerging international shooting destination. The four-day carnival will witness close to 15 Mega Events, over 50 panel discussions, Workshops for Directors and Producers, Niche product live demos and launches, Talent Show, Awards, Film Screenings amongst many others. The event will cross borders, break conventional finesse of movie making all while embracing its unique cultural and linguistic diaspora. 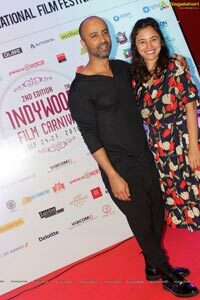 Exploring regional cinema industry, Indywood Film Carnival shall also bring together the state’s cultural and diverse forms of aesthetic contents all under one single roof.